Everyone who spends time at the world-renowned Red Cross Children’s Hospital – be it patients, parents, doctors, medical students, or donors being given a tour – leaves feeling that this is no ordinary hospital. Perhaps it’s because there are no visiting hours, because we believe that parents play an important part in their child’s healing journey and we encourage them to spend time with us. Perhaps it’s because the Hospital takes care of around 250 000 patients each year, most of whom come from exceptionally poor and marginalised communities. Patients are referred to us from the Western Cape, the rest of South Africa and across broader Africa. A third of our patients are younger than a year old. 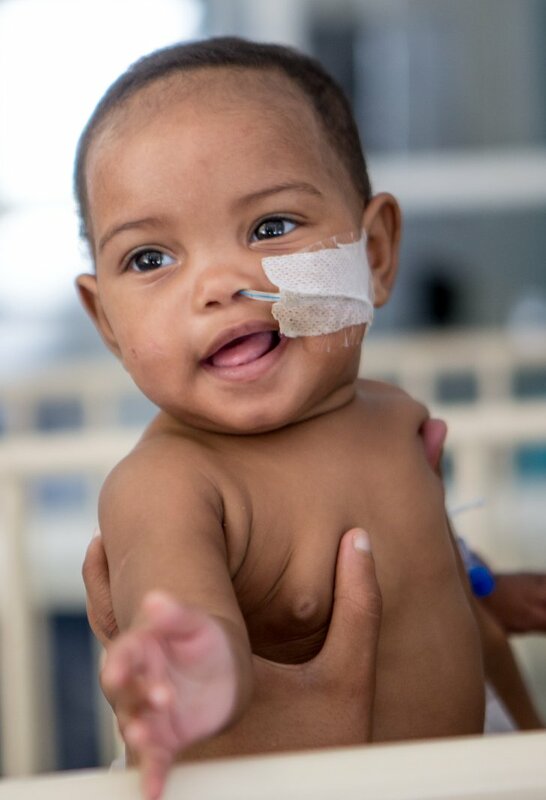 Those who pass through the doors tell us that, in fact, the Hospital does so much more than treat these 250 000 patients each year – it holds the hope of a healthy childhood, a parent’s faith in healing, and a medical professional’s gift of prevention and cure. Built in Cape Town in 1956, the Red Cross War Memorial Children’s Hospital is the first and only stand-alone tertiary hospital in sub-Saharan Africa dedicated entirely to child healthcare. While delivering world-class paediatric treatment and care, it’s important to us that we make as large an impact as possible and equip others to do the same. We are a teaching hospital for the University of Cape Town, and provide training to paediatric healthcare professionals from the entire sub-continent. We also conduct ground-breaking research into the childhood illnesses that has a global impact.